kent – Neil Baldwin's blog : Warning contains walking, technology, photography, holidays. We had a plan for the weekend we went to the cinema to see a film Friday then home for an early night. We were up pretty early giving me the chance to go and get my haircut. Suitably shorn I came back had a coffee and we left house at 1020 destination Kent for a night in a pub followed by some Segwaying at Leeds Castle. The journey was pretty uneventful round the M25, then over the Thames, then down the M2. At around Sittingbourne I got bored of the motorway so we left it to take the A roads to Faversham, then onto Oare marshes for a spot of bird watching. We stopped off in Faversham a town with some very old buildings, a market, antique shops and charity shops, for some lunch at a pub in an old building, I had crab and rocket sandwich and Helen had local cheese and pickle sandwich. 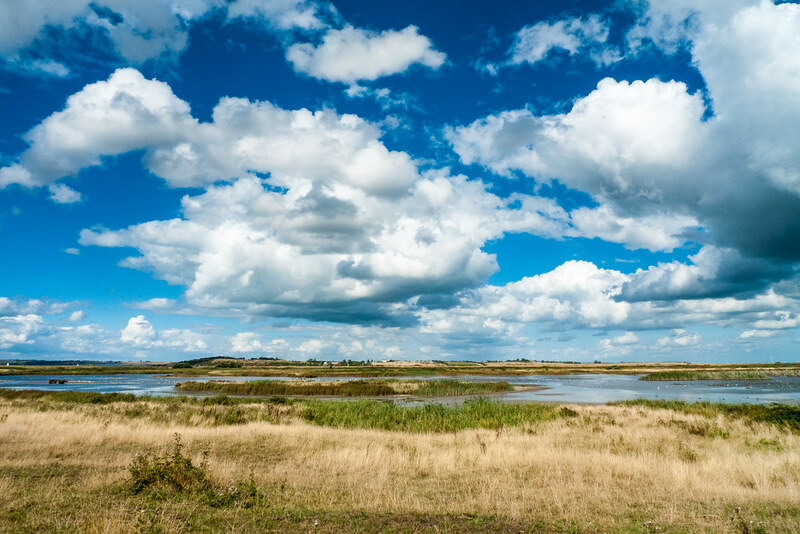 After a walk around the town and its market we headed to Oare marshes and we were pleasantly surprised to see lots of bird watchers and even better lots of waders out on the marsh. Parking was a struggle but we found a spot and headed back to where there was a good view of the marsh. We had got there at the right time the tide was in s the birds had all left the estuary and were waiting on the marsh area till the tide went out again revealing the mud where their food could be found. We finished off with a walk around the reserve taking in the hides, Helen insisted that the sea wall was where a scene from the TV drama Southcliffe was filmed, I said that it could be anywhere on the sea wall but after some research that evening Helen proved beyond reasonable doubt that she was quite correct. 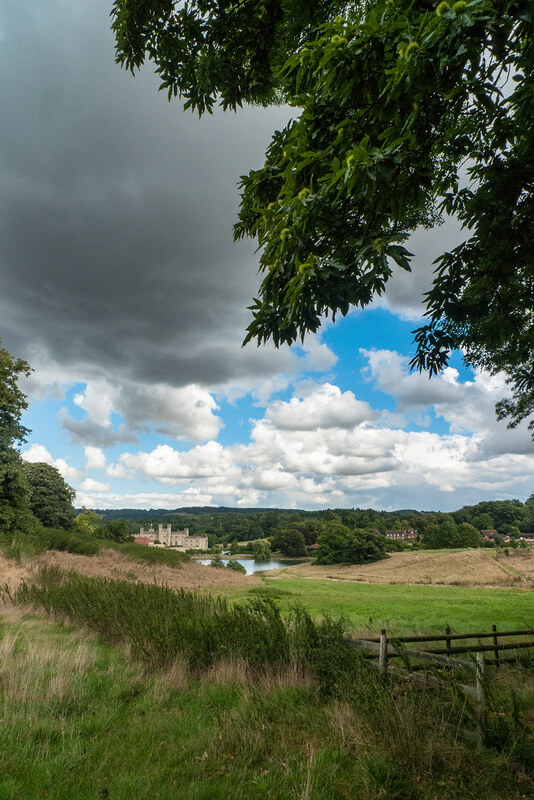 We got back in the car and ignoring the sat nav’s request to take the motorway took the A roads to our pub The Black Horse in Thurnham, needs Leeds Castle. The pub was unusual in that from the front it just looked like a country pub on the edge of a hill, but behind it had a whole complex of rooms 30 in total, spreading out down the hill behind. We got our room keys and found our room “asylum” sorry they were all named after plants Alyssum. The room was very clean, and seemed recently decorated, the bed was soft and comfortable. We rested for a while and then went out grabbed a map from reception and headed up the hill to look at the local castle ruins, which were very ruined. Back at the pub we had a half and then headed back to our room to get ready for our meal. Helen put on some makeup and I changed my T shirt. The meal was great we were in the restaurant just before 7pm so in time for me to have the fish and chips not served after 7. Helen at risotto and we both had desert Helen sticky toffee pudding and me the apricot cheese cake. Suitably replete we headed back to our room and tucked up in bed by 9pm! The early night meant we got an early start, breakfast was and 08:20 and we left the pub soon after 09:00, our plan was to go and have a look around Leeds castle before our Segway session at 11:30. We arrived at the venue in time so join the earlier session but unfortunately they could not get us on that session. We decided that the entry fee of £21 per person for the Castle was a little bit steep if you had a day to spend there we only had about and hour and a half to waste, so we decided to go take a look at Chatham which is only 20 minutes drive away. At the historic docks there was a Military memorabilia fair on, and what a strange event that turned out to be. We paid £4 entrance fee and entered a whole world that we did not realise existed, it seemed anything with a vague military theme could be purchased. At the extreme was firearms from Pistols through rifles, to heavy duty machine guns, as well as daggers and bayonets. Then there were the stalls selling everything you could imagine you unearthing from an army stores, including instruments, wound dressings, medals and ribbons, manuals and log books etc etc. The die hard enthusiast came all dressed up in authentic uniforms, I saw Nazi SS, talking to home guards, Russians and French Foreign Legions, as well as a small child in full sniper gear. Unexpectedly we did find an interesting book to purchase at a book stall, war related books obviously. Suitably confused by the memorabilia fair we drove back to Leeds Castle for a coffee before the main event. It started to really rain whilst we had our coffee but started to clear up as we gathered to be issued with helmets and Segways. After the safety lecture and what seemed like more than enough theory on how they worked we were allowed on the machines while we proved that we could control them. It was surprisingly easy to master you just lean forwards or back to move then use the handle bars to steer. Eventually we were all issued with our own machines and we left the training area for a spin around the grounds. 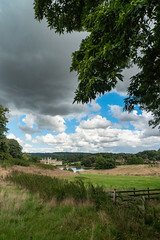 We stopped every so often for a chance to view the Castle in the distance while the guide filled our heads with facts about the history of the Castle and it surroundings. 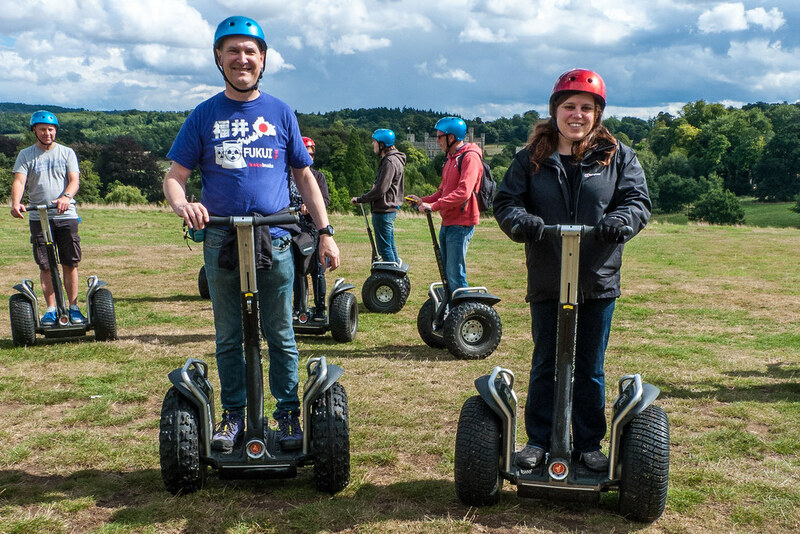 Personally I would have paid extra just to have been able to ride the Segway without all the stopping and starting for another “interesting” fact. 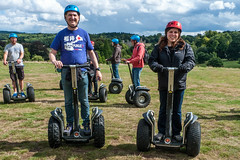 We did get the chance to get the Segways up to their maximum speed of 12.5 mph, but the whole experience was over too soon I could have spent a couple of hours whizzing around the park land, if they had let me. We headed straight back after as we wanted to stop off at Decathlon at Thurrock, shopping is not something that Helen and I really enjoy but we made the most of the situation, Helen bought some gloves and I a merino wool top for Decathlon, then we raided the M&S outlet store and TKMax where I got a pair of Levis for half price. We had soon had enough bargain hunting and left Thurrock for the M25, passing under the river then round to the A41 and home for 16:00 ish.